The heavyweight division is back in the spotlight - with several solid players. 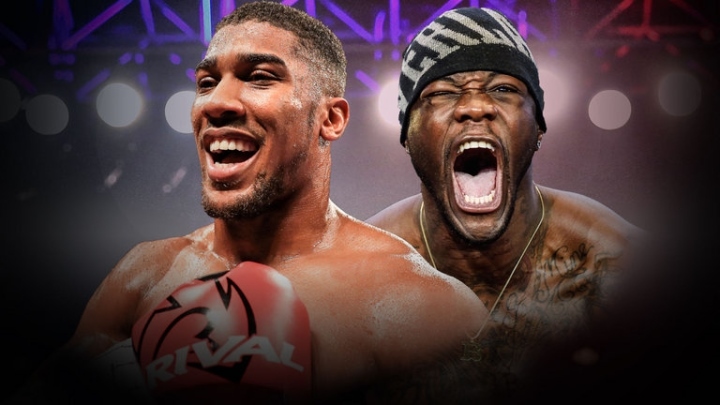 The two most dominant at the weight, are WBC heavyweight champion Deontay Wilder (38-0, 37 KOs) and IBF, IBO, WBA heavyweight champion Anthony Joshua (19-0, 19 KOs). Both have fights coming up - and many hoping the two heavyweights will collide in 2018. Later this month in Cardiff, Joshua will defend his title against mandatory challenger Kubrat Pulev. Wilder is back in the ring on November 4th, when he defends his title against Bermane Stiverne in a rematch at Barclays Center in Brooklyn. Former WBC heavyweight champion Vitali Klitschko was at one time the most dominant heavyweight in the division. He retired from the sport several years ago and is now a very successful politician in Ukraine. He wants to see Joshua and Wilder collide in the ring - to establish the sole king of the heavyweight division. Back in April, he worked the corner of his younger brother, Wladimir Klitschko, who got stopped by Joshua in a 'Fight of The Year' contender before a record crowd of 90,000 fans at Wembley in London. Wladimir would follow his brother's lead and announced his retirement from the sport in August. "It's a new generation coming, they all have power, they have vision. I see a lot of talented fighters, great skills, they have power, everyone in the heavyweight division has power and that is what makes it the most interesting and attractive division," Klitschko said to ESPN Deportes. "We're going to see what happens in the next fights. I'm very interested to see who is the best, the strongest. If Joshua can beat Pulev, then he can fight with Deontay Wilder, the World Boxing Council champion - and we can finally see who is the best and when that happens, then boxing will have the attention [of everyone]. I feel happy about it and I'm very interested in the division." [QUOTE=Kigali;18118493]Mestizos always hating. Who ya'll got b*tch???? :lol1: Wilder said he will gladly fight AJ in the UK.....Dummy. [/QUOTE] Wilder thinks the UK is above New York. This fight should be next after Wilder -Stiverne and Joshua -Pulev. No need to wait anymore. [QUOTE=Visceral;18118478]So sick of the "marinating" for this one. We all know this is the fight to make so make it already. [/QUOTE] Me too, will be pissed if it doesn't happen next year. Vlad putting the heat on that dope-dealing mummy.